Chilean films are one of the most underrated and yet undiscovered international movies. Chilean cinema is as rich in diversity as the country itself. Despite Spanish being the mother tongue of more than 90% of the population, there are six other Native languages spoken. Language is just one of the ways that this amazing country recognizes its cultural richness. Choosing the Top 10 Best movies for Chilean film is not that easy. 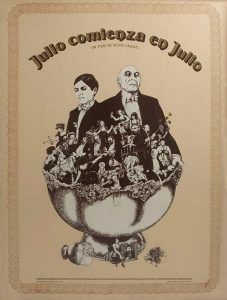 There are countless films, each of which has its own unique take on Chilean’s life and the struggles and happiness people have there. Some also deal with politic and past and present governments. The Club is a movie that focuses on the oppressive nature of the Catholic Church and how it affects its priest, nuns, and believers. The story revolves around the four priests. These priests, having been excommunicated, live in a secluded house in a beach town in Chile. A retired nun helps tend to their needs. The priests were purged on false charges sins which included child molestations and kidnapping. Rather than fight the church, they simply accepted their fate. These sins are brought back when a stranger arrives and breaks their peace. 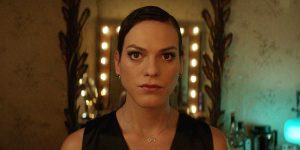 A Fantastic Woman has yet to be discovered by an international audience. Daniela Vega’s performance was certainly worthy of the Best Actress award from the Oscar’s had the film been American made. Vega’s stars as a waitress and a nightclub singer called Marina who falls in love with an older guy named Orlando. Orlando’s sudden death changes her life forever. Marina is a transgender woman and faces ridicule from society. She finds herself as the main suspect for Orlando’s death and therefore robbed of her right to mourn for her love. The movie follows her fight to defend her dignity, and ultimately, her identity. 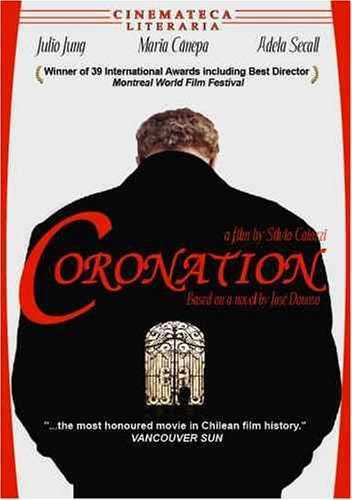 The Coronation is a fantastic movie. It is a story of an elderly heir to a respected Chilean family. He is alone and lonely. Needing help to take care of his tyrannical grandmother, he hires a beautiful woman called Estela. Estela is poor but, Andres becomes obsessed with her and so pursues her even though she has a fiancé already. Machuca is a film about friendship, politics, and class system. 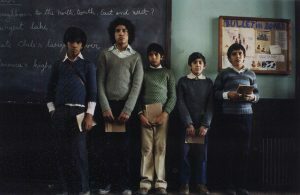 After the Chilean socialist government grants a scholarship to a peasant boy named Machuca, he goes off to study in a private school and meets Gonzalo, a rich kid. They develop a friendship and quickly end up introducing each other to their different worlds. The movie Machuca captures the dark story behind the dictatorship of the Pinchot dictatorship. Machuca shows the different classes of this society and how they had to cope with the regime. Ultimately, it shows that in such an oppressive environment, rich people cannot be with poor people. The Maid is a movie about the struggle to be accepted as part of a family. Raquel has been working with the same family for decades. She tends their enormous house and helps raise the kids. As time goes by, her situation changes. Raquel wants to stay with the family and remain in her position. However, she is getting older, so one day the family hires a young maid to assist her. Instead of vieing it as help, she sees the new maid as the competition and decides she will do everything in her powers to stay with the family. Gloria Bell is a movie about second chances. Gloria is a woman who is always fighting for what she believes in. As a 58-year-old divorced woman, she is craving adventure. Gloria finds herself as a mother of two grown-up children and decides she wants to enjoy life to the fullest. She doesn’t want to stay solo and lonely, but rather wants to spend her life with someone else. One day she meets her new love, Rodolfo. Rodolfo is a former naval officer who is recently divorced. She is attracted to him, but Rodolfo’s life is complicated. 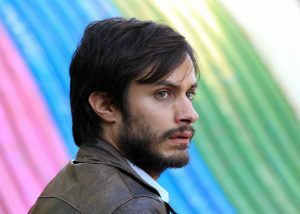 Julio Begins in July is a film about a young boy from a wealthy family who falls in with a prostitute. Knowing the shame it will bring on his family, he tries to keep it secret from his family. The story shows his struggle to become a man to keep up with his father and uncles. Sentimental Teaser is a movie about love, passion, and conflict. A young radio station host has a success successful slot which he airs his views about love. Every day, his callers share their stories on air. There are sweet love stories, bittersweet stories, painful, and even tragic stories. No is a fantastic movie about a young executive who comes up with an advertisement campaign against a dictator. After military dictator, Augusto Pinochet, calls for a referendum to legitimize his power, the opposition persuade a brave advertising executive to lead their campaign against the dictator. With his heart full of hope and patriotism, Saadvera, together with his supporters and teams, execute a daring plan to win the election and free their country from dictatorship. Violeta Went to Heaven is the biography of Violeta Parra. It was created by Angel Parra, her son, in collaboration with Luis Cereceda Arenas. 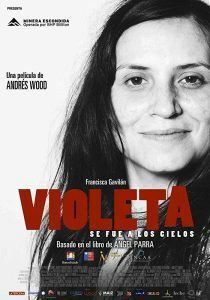 It a story of Violeta’s life and her journey from an aspiring singer up to the time she became a household name in her native Chile. It shows her struggle as a poor musician, and her battle against social repression. It also tackles her on and off relationship with her lover, anthropologist Gilbert Favre. It reveals her character as a wild and free-spirited woman that is ready to conquer the world all by herself. Violeta never gives up on her dreams, even after the death of her daughter.